Creative illustration is a specialty of mine. I truely enjoy helping bring a client's idea to life visually. Through the years I have found innovative solutions to the challenges clients have laid before me from book covers to packaging design. From visualizing secure network access to illustrating a concept in the real or virtual worlds, creative illustration is something I truly enjoy. This drawing is the result of using a 3D software for layout and an illustration software for rendering. 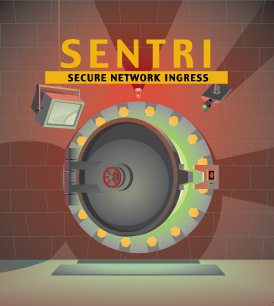 It was created in three versions for use by a manager, security officer and the users of a secure network. The manuals use color coded diagrams using red and green lines - red for unsecure and green for secure areas of a network. The client came to me and asked me to devise a solution for the covers of each manual. Everything outside the vault is unsecure while everything within the vasult is secure. The vault door is surrounded by various devices intended to show various security measures. The client loved it. 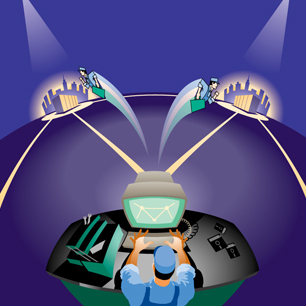 This illustration is the culmination of a house style I helped develope for a major telecommunications firm. This easy-to-use style was originally used to develop simple components for charts and diagrams. I proved it could be used to render complicated images. Here, a tank farm is shown going from the drawing board to the completed installation. 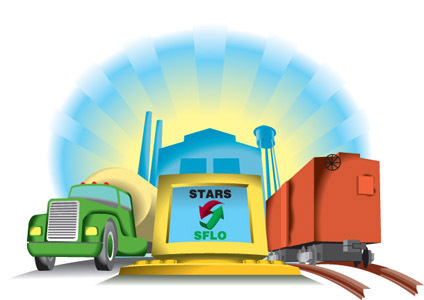 This artwork was created for a client that wanted a visual depiction of what his software did, which was to coordinate the shipping of goods from manufacturer to distributor. In fact, two systems were being used, and the colors of the truck and railroad box car represent those two systems combined in a new offering. Those same colors appear on the computer monitor. I won a mention in a national contest with this entry. My manager thought so much of it, she strongly encouraged me to enter the contest. 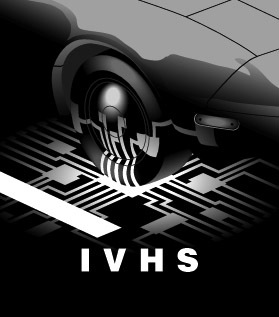 The image was a design solution for a client making a pitch for an intelligent vehicle highway system or IVHS. The client was thrilled with the solution. 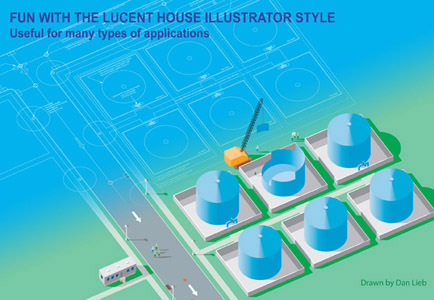 This illustration was created for a packaging design of network software. The software was intended for use by remotely situated service technicians. Branding and text would appear on top of the image. If you look carefully at the screen of the service technician you will notice a network of dots connected by lines. These are the same lines that appear in the background of the artwork. The technician's "real" toolbox and software are on the deck at which he sits. The virtual technician carries his toolbox with him.